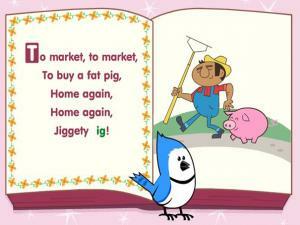 Rhymes are a great tool to build language skills. By learning words that have similar endings, it becomes easier to notice the slight differences in words and become better readers. Match rhyming words by dragging and dropping the correct items to the center of the machine. Muggo the robot needs just a few rhymes to activate his friend-making machine. Can you help? This is a fun video with Beans and Frank. 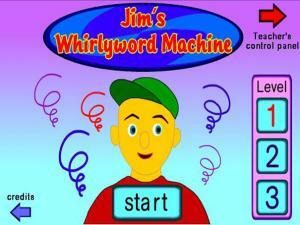 Enjoy their rap as they go through lots of different sounds and words. 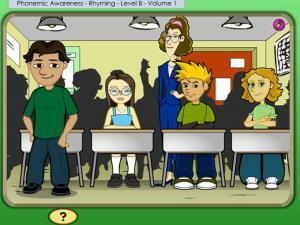 Learn and practice recognizing and pronouncing rhyming words. Listen to the words and look at the pictures on the t-shirts hanging on the washing line. Can you find the matching rhymes? The bees are collecting rhyming words to bring to their nest. 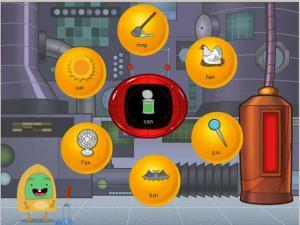 Each game focuses on one word ('bug', 'dash', 'dot', 'lip', and 'top'). Choose your game and read the words attached to each bee. 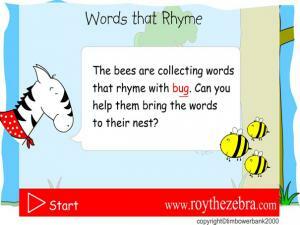 Decide if it is rhymes or not and see if you can fill the bee hive! 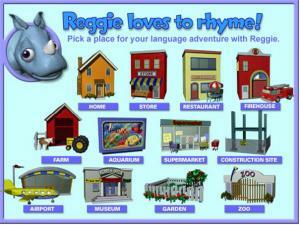 Practice matching sounds by helping Reggie find the rhyme. Click on the top picture to hear the sound. Find a word that rhymes and click below. 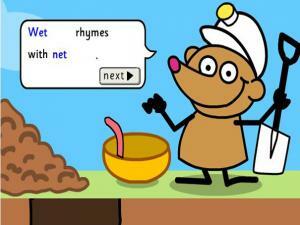 Select a Level and help the mole find some food! Find the matching word in the earth that sounds the same as the word in the box. If it is correct, the mole will be able to dig down and collect his worm! Progress through the levels as you get better and better. 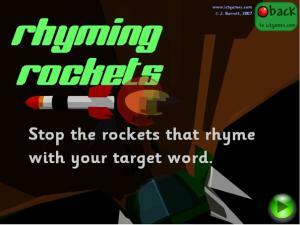 In this game you have to stop the rockets that rhyme with your target word. You have 3 difficulty levels to choose from. Read the word and wait for the rockets to fly across the screen. Remember, you have to aim for the rocket, not the word, to win! 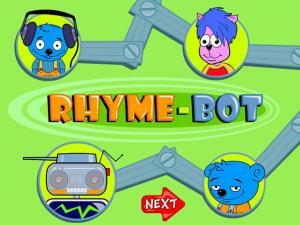 Create a rap song and learn about rhyming! There is fun animation too for each line of your new song. 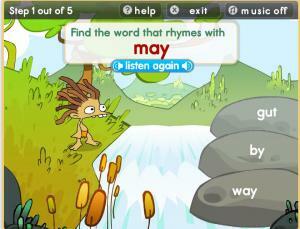 Help Max cross the river by choosing the rhyming word. 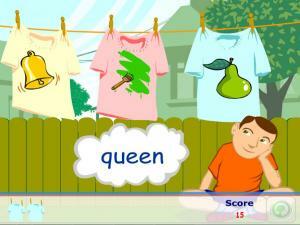 Challenges your knowledge of English words and pronunciation based on spelling. You get to choose easy, medium or difficult level questions. 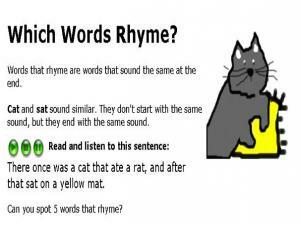 A good site that explains the form of rhyming words as well as giving you audio examples and exercises to test your understanding and listening skills. 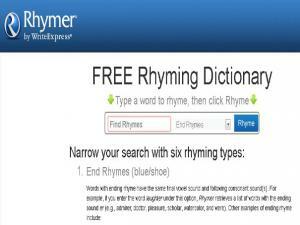 Take the final quiz at the end and see how good you are at spotting rhyming words. This game asks you to find the rhyming pairs of words. 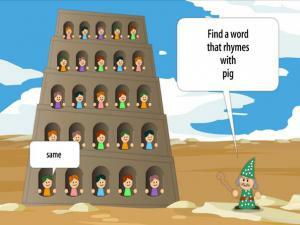 Read the first word the wizard says, then click on the people trapped in the tower to find a rhyming match. This tests your own pronunciation skills - you only get to read the words. There is no audio to help! 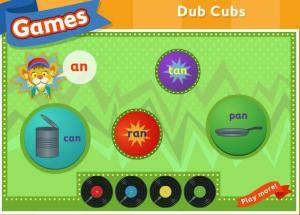 Make your own rhyming song using the words provided! As it repeats, sing along so you'll perfect your pronunciation. Try all the pictures to learn many new vocabulary words. 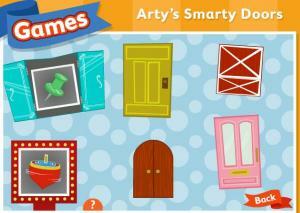 A fun new game to practice rhyming words. 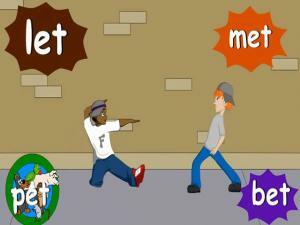 Listen to the sentences in the rap and fill in the missing words. You have to choose a word that rhymes and also makes sense for the meaning of the verse.